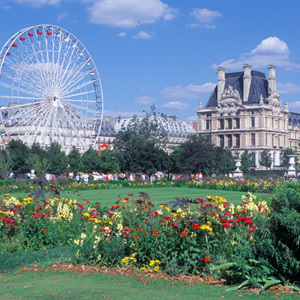 Get to know France from the inside on this exciting vacation. From Paris, head north to Rouen, then Honfleur, Caen, and the Normandy’s historic D-Day landing beaches from World War II. On to Bayeux, then the enduring beauty of Mont St. Michel, Angers with its cathedral, and the glorious Loire Valley. Travel through the countryside, famous for its cognac and champagne production, and visit Poitiers, a picturesque town of Roman heritage, as well as seaside La Rochelle. Spend a night in Bordeaux and continue through the Dordogne to the cliffside village of Rocamadour before reaching Toulouse. An orientation tour shows you medieval Carcassonne on the way to Nîmes, Pont du Gard, and Avignon. Visit Arles, made famous by Van Gogh, and enchanting Aix-en-Provence. Next up: the magnificent French Riviera, summer home of the glitz and glam. Take the Route Napoleon, visiting a perfume workshop in Grasse, then carry on to Lyon on the banks of the Rhône and Saône Rivers. Stop in delightful Beaune, Burgundy’s wine capital, then return to Paris, the “City of Light,” with included sightseeing of the main attractions and leisure time to soak in the romantic atmosphere. 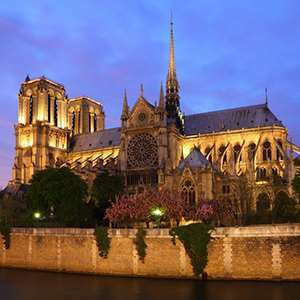 Drive first to the historical capital city of Normandy, Rouen, one of the largest and most prosperous cities of Medieval Europe and walk through its center, rich in gothic architecture. Next, stop in lovely HONFLEUR known for its old, beautiful, picturesque port, characterized by its houses with slate-covered facades, before reaching Caen for an overnight. Time to see Caen before a visit to the legendary beaches where the Allied troops landed more than 70 years ago. The highlights are Arromanches, St. Laurent, and the AMERICAN CEMETERY at Omaha. Next, journey to Bayeux, where you can admire the famous tapestry depicting William the Conquerors’ epic battle in 1066 (entrance fee extra). Then, southwards to the unique beauty of Mont St. Michel, which stands on an island reached by a causeway. Time this morning to enjoy a visit of MONT ST. MICHEL before a mid-morning departure to Angers to visit its CATHEDRAL. Then, along the banks of the Loire River to reach your hotel for two overnights. 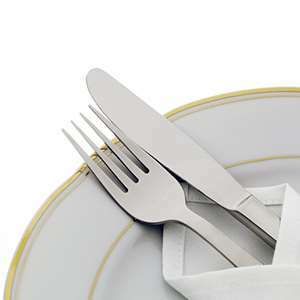 A chance this evening to join an optional dinner at a local restaurant. Time at leisure or join an optional excursion to see some of the most spectacular castles of the Loire, steeped in the history of noblemen and kings since the 11th century. Gothic spires, medieval turrets, great fortresses, and beautiful châteaux make for splendid panoramas. Travel on the comfortable Autoroute L’Aquitaine. Next stop is the picturesque town of La Rochelle, situated on the Atlantic coast. Continue eastwards into the world-famous Cognac region to visit the HENNESSY MUSEUM in Cognac. Then, journey to Bordeaux for an orientation walk. Today, drive into the heart of one of France’s most scenic regions, the Dordogne. Stop in the dramatically located medieval town of Rocamadour, perched high upon a cliff. Southwards by way of Cahors to Toulouse for an overnight. Drive this morning along the Autoroute des Deux Mers for an orientation walk in Carcassonne. Then, continue eastwards to Nîmes, an elegant city famed for its busy boulevards shaded by lotus trees. Get a view of the Maison Carrée, one of the best-preserved Roman temples in the whole of France. Short picture stop at the famous PONT DU GARD before reaching Avignon for an overnight. South this morning to visit Arles, the most famous of all the Provence towns, known all over the world by the paintings of Van Gogh. Visit the famous Roman AMPHITHEATER. Stop in Aix-en-Provence to see its main street, the COURS MIRABEU, lined with plane trees and its 17th-century palace, houses, and fountains. Finally, to the French Riviera on the shores of the Mediterranean. Don’t miss the optional evening excursion. First to Grasse for a visit to a PERFUME WORKSHOP. See more of Provence and follow one of France’s great panoramic routes, the one Napoleon took on his return from Elba in 1815. From Grenoble, join the expressway to the Lyon area. Travel through the picturesque vineyards and fields of Burgundy to medieval Beaune, the region’s wine capital since Roman times, where you visit the famous HÔTEL-DIEU before returning to the French capital and “City of Light,” Paris. Don’t miss the optional evening cabaret show, a real Parisian spectacle. 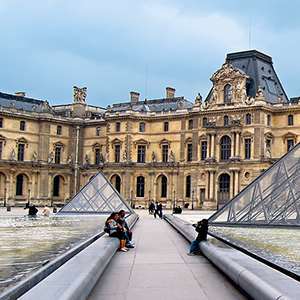 In the included sightseeing with a local expert are many of the best-known Parisian sights: La Sorbonne, Arc de Triomphe, Opéra, Madeleine, the Eiffel Tower, the Pyramid near the Louvre, the Invalides, and Champs Elysées. 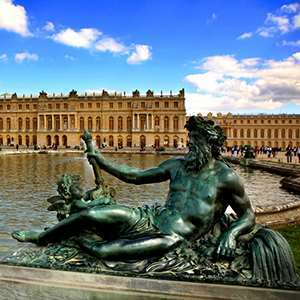 Optional excursions are also available to the Palace and Gardens of Versailles and, to celebrate the success of your tour, a French farewell dinner might be just the ticket. 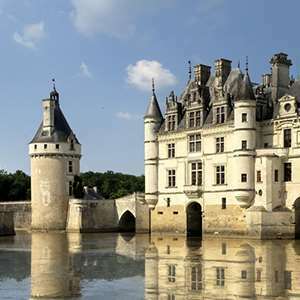 Chateau Chenonceaux/Amboise Discover the “Chateaux country” in the Loire, taking a guided tour of the Chateau of Amboise, where Leonardo da Vinci lived the latter part of his life and died and to the splendid Chateau of Chenonceau. 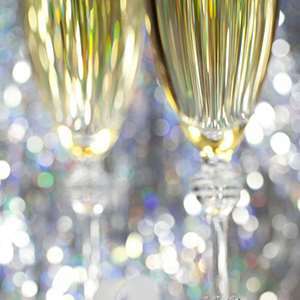 A guided visit to a wine cellar with a glass of sparkling wine will make your day complete. Regional Dinner Your tour director will accompany you on a short drive to a restaurant to enjoy a delicious dinner which will offer you some specialties of the area. An evening to enrich your French experience. Dinner On The French Riviera While you are in Nice (the second most visited town in France after Paris) you can enjoy an evening in a restaurant which will offer you the chance to taste some typical dishes: a “Salade Nicoice” is something you cannot miss! Excursion to St. Paul De Vence See lovely landscapes on your drive to St. Paul de Vence, a medieval Provencal village set on a spur, surrounded by well-preserved ramparts. Enjoy the serene setting of this picturesque spot made famous by artists such as Matisse, Chagall, Picasso, Jacques Prevert and others. The visit to St. Paul de Vence will be unforgettable. Montecarlo By Night with Dinner A beautiful drive along the French Riviera will lead you to the Principality of Monaco where you will see the Cathedral and the Royal Palace of the Grimaldi Family. 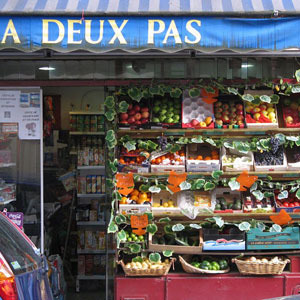 You can walk in the narrow streets of Monaco and see some charming corners of this Principality. 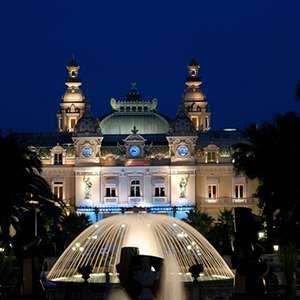 Then proceed to the Casino of Montecarlo where you can absorb the jet set atmosphere. The Casino was used in several James Bond movies due to its glamorous and elegant Belle Epoque building. Whilst you have the opportunity to try your luck at the slot machines*, you will have a drink at the Restaurant “Le Cafe de Paris” close to the Casino itself. *Personal ID required and formal dress code (but not evening wear) recommended. Minimum age limit to enter the Casino 18 years. This optional excursion also include a dinner in an agreeable restaurant which will make your evening complete. Cabaret Show A trip to Paris is not complete without a visit to one of the famous Parisian Cabaret to enjoy an enchanting night. Whilst you see a colorful costume and decor show of music and dances, you will be served a glass of champagne to fully enjoy your evening. This excursion is not operated as a private charter which means you may join others on the same tour which may require picking up and dropping off at several hotels. 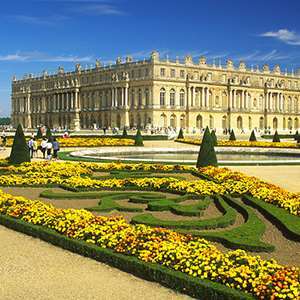 Versailles Sun King’s Palace (Sat-Sun-Tue) Week-end visit: Historic Versailles is the beautiful, restored palace of Louis XIV, the Sun King. After the guided tour of the palace where you will have the opportunity to admire the magnificent internal decorations, furniture and huge shining chandeliers, you can stroll in the magnificent terraced gardens with their fountains and statues. Versailles-Sun King’s Palace Historic Versailles is the beautiful, restored palace of Louis XIV, the Sun King. After the guided tour of the palace where you will have the opportunity to admire the magnificent internal decorations, furniture and huge shining chandeliers, you can stroll in the magnificent terraced gardens with their fountains and statues. The Palace of Versailles is open every day except Mondays.